… The global phenomena that is taking the world by storm and helping people learn that no matter what the goal, if your MINDSET isn’t right, you’re never going to get there. An 18 year veteran of the sports training industry, Brian founded one of the largest youth development educational organizations in the world, served as its CEO for nearly 8 years and co-created one of the fastest growing fitness franchises in the United States along with it. He has guest lectured at governmental and private associations around the world - including Australia, New Zealand, Ireland, Italy and throughout North America - coached more than 20,000 athletes and worked with Olympic Medallists, professionals from varying sports, collegiate standouts and kids. 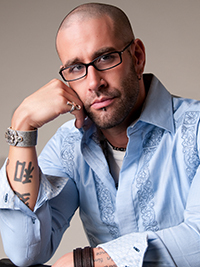 Brian authored “The Audacity of Success”, co-authored the bestseller “Total Body Transformation”, wrote and co-produced the landmark short film “Life by Numbers” and writes regularly for magazines around the globe, including Inked and Bulace. His most recent book - Mindset Matters Most - became an Amazon Best Seller this past April.